Belmont Memorial Park, Fresno, California, U.S.
Kiel was born in Detroit, Michigan. His towering height was a result of acromegaly, a hormonal condition. Before becoming an actor, Kiel worked in numerous jobs, including a nightclub bouncer and a cemetery plot salesman. From 1963 to 1965, Kiel worked as a night-school math instructor in Burbank, California. Kiel made his acting debut in the Laramie episode "Street of Hate". This led to him appearing in numerous television shows throughout the 1960s and 1970s such as I Dream of Jeannie, Honey West, Gilligan's Island, The Monkees, Daniel Boone, Emergency!, Starsky & Hutch, Land of the Lost, The Fall Guy, Simon & Simon, "Kolchak: The Night Stalker", and the memorable The Twilight Zone episode "To Serve Man". Due to size, Kiel was often cast in villainous roles. He appeared as the towering — and lethal — assistant Voltaire to Dr. Miguelito Loveless in first-season episodes of The Wild, Wild West. In the Man from U.N.C.L.E. episode "The Vulcan Affair", Kiel appeared as a guard in Vulcan's plant and he portrayed Merry in "The Hong Kong Shilling Affair". In 1967 he played a monster in an episode of The Monkees ("I was a Teenage Monster"). He later appeared in an episode of “Wild, Wild West” titled "The Night of the Simian Terror" as Dimas, the outcast son of a wealthy family, banished because of birth defects that distorted his body and apparently affected his mind. The episode first aired February 16, 1968. This episode is significant because it allowed Kiel the opportunity to really act rather than just look intimidating. In 1977 Kiel and Arnold Schwarzenegger were both considered for playing the Hulk in The Incredible Hulk. After Schwarzenegger was turned down due to his height, Kiel started filming the pilot. 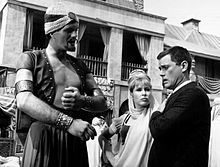 However, the producers quickly decided they wanted a more muscular Hulk rather than the towering Kiel so he was dismissed. Kiel later said he did not mind losing the part because as he could only see out of one eye, he reacted badly to the contact lenses he had to wear for the role. He also found the green makeup unpleasant and difficult to remove. His scenes were then reshot with Lou Ferrigno. 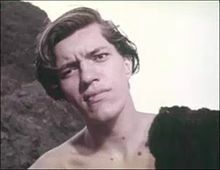 Kiel broke into films in the early 1960s with Eegah (1962), which was later featured on Elvira's Movie Macabre and Mystery Science Theater 3000, as were The Phantom Planet and The Human Duplicators. He also produced, co-wrote, and starred in The Giant of Thunder Mountain. He also had a brief non-speaking appearance leaving a gym in the Jerry Lewis movie The Nutty Professor. The James Bond-film producers spotted Kiel in Barbary Coast, and thought he was ideal for the role of Jaws in The Spy Who Loved Me (1977). He was one of the few Bond-villains to appear in two Bond-films, later appearing in Moonraker (1979). However, as he suffered from acrophobia (fear of heights), a stunt double was used during the cable car stunt scenes because Kiel refused to be filmed on the top of a cable car more than 2,000 feet (610 m) above the ground. He reprised his role of Jaws in the video game called James Bond 007: Everything or Nothing, supplying his voice and likeness. This was his second outing as a metal-toothed villain because he had played Reace in the 1976 comedy-thriller film Silver Streak, a year before being cast in it. The Spy Who Loved Me. Kiel also played in the 1985 film Pale Rider. Acting as the main antagonist's henchman, He redeems his character's status by saving the hero from a gunshot to the back. Although earlier roles had offered him little dialogue, his role in Happy Gilmore (1996) was quite the opposite. As Mr. Larson, Happy Gilmore's former employer, Kiel exchanges several one-liners with both Adam Sandler's Happy and Christopher McDonald's Shooter. Kiel took a quieter profile after Happy Gilmore's release, but left semi-retirement to record a role for Tangled (2010). In the acclaimed animated Disney film, he portrayed Vlad, a surprisingly soft-hearted thug who collects ceramic unicorns. Kiel's first marriage was to Faye Daniels in 1960. They divorced in the early 1970s. He later married Diane Rogers. They had four children and nine grandchildren. He co-authored a biography of the abolitionist Cassius Marcellus Clay called Kentucky Lion. Kiel was also a born-again Christian. His website states his religious conversion helped him to overcome alcoholism. In 1992, Kiel suffered a severe head injury in a car accident, which affected his balance. He was subsequently forced to walk with a cane to support himself (as shown in his appearance in Happy Gilmore, where he is seen leaning on a person or a cane). Later, Kiel used a scooter or wheelchair. On September 10, 2014, three days short of his 75th birthday, Kiel died at St. Agnes Medical Center in Fresno, California, of a heart attack, possibly caused by coronary artery disease. 1975 Switch Unknown role Episode: "Death Heist"
1977 Young Dan'l Boone Unknown role Episode: "The Game"
^ a b Weber, Bruce (September 11, 2014). "Richard Kiel Dies at 74; Played bind in Bond Films". The New York Times. ^ a b "Richard Kiel obituary". The Guardian (UK). September 11, 2014. Retrieved March 5, 2015. ^ "Why Was This Woman Gaining Weight Despite Her Diet?". Retrieved April 18, 2016. ^ a b "The Den of Geek interview: Richard Kiel". Den of Geek. January 6, 2009. ^ "Actor Richard Kiel taught math at Ogden's Radio School in '63". www.modestoradiomuseum.org. ^ Kiel, Richard. "Richard Kiel's Testimony". Official Richard Kiel Fan Club. Retrieved August 16, 2010. ^ "Bond Villain Died Of Heart Disease". TMZ. October 9, 2014. Retrieved November 20, 2014. Wikimedia Commons has media related to Richard Kiel.